Demo Time during the Urban Sketcher Symposium 2016 in Manchester over the summer! Over the summer, I had a fantastic time in the UK, the main focus being the delivery of my workshop, Sketching on iPads with Procreate at the Urban Sketcher Symposium in Manchester. In particular, I wanted to list the equipment I use, discuss and recommend all the time. After having used the iPad Pro (12.9") and Apple Pencil from Day One of their release (about a year now! ), I can say first, that I absolutely love both, and second, certain accessories make the total experience so much better, especially when urban sketching. Illustrators who use iPads and iPad artists who want to be mobile might also find my list useful. Apart from the stylus that makes every iPad Pro magical, there is another must-have accessory that has drawn a lot of curiosity whenever it's been spotted with me. Everywhere I go, people want to know about the 'handle' I use with my iPad Pro. Ever since I got what I occasionally (affectionately) call my Jumbo Pro, I've been on the hunt for the perfect case/holder/support. If you've read my previous posts, you'll know I loved my Twist360 with my iPad Air, (and I still highly recommend it for anyone using 9.7" iPads, be they Pro or not). 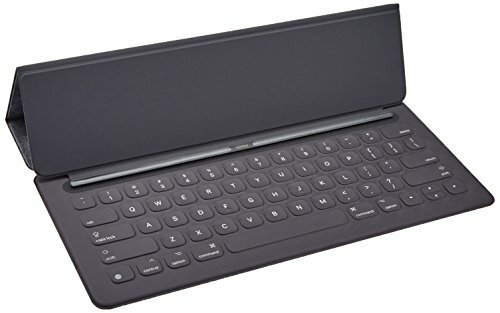 As soon as I got my iPad Pro, I emailed Bracketron, the company that makes the Twist360, to see if they planned on making a bigger Twist360 for larger tablets, and was most disappointed when they said they had no such plans. With a grimace, off I went to look for something that could take its place. How many ways can you hold / place your iPad? With the SpinPadGrip- plenty! 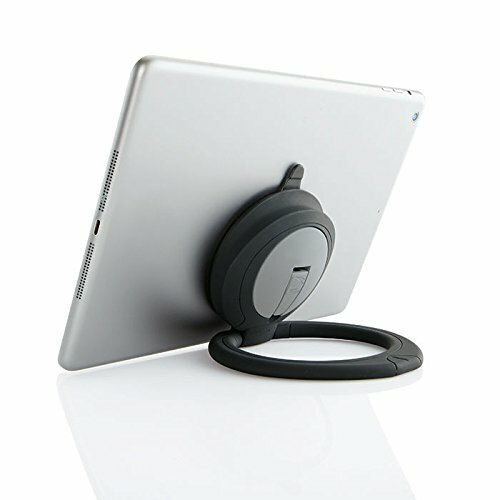 After extensive google searches and several iPad Pro case/holder/support tests later, I finally found my current favorite solution, and here it is...the SpinPadGrip! It's originally made by a French company and now sold under various names, depending where you look. The logo on the back of mine says PowerSpin, which explains why I couldn't find it again for a while. Finally tracked down the original manufacturer! Now, I have to say that I'm not a big fan of the name. 'SpinPadGrip' doesn't quite roll off the tongue, does it? Although it says what it does, it's not a name that sticks in my head, and I've had to constantly hunt for the name to repeat it when people ask me where I got it. I’ve also found that it may not always be on Amazon, but seems to be more consistently sold now. I do love the product though, and for those interested, I've linked it for you. (Thanks for your support if you buy through my affiliate link!) 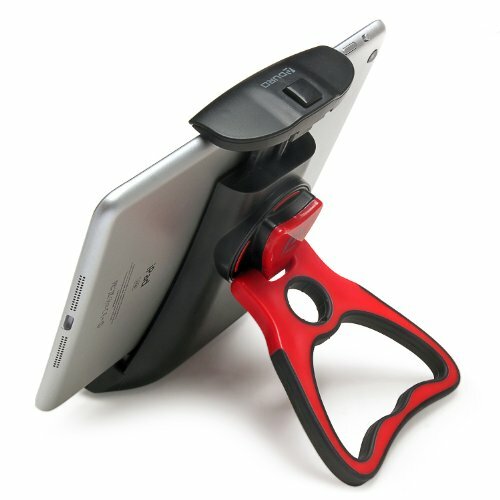 Those of you not in the US can also purchase SpinPadGrip from its website. Technically, the SpinPadGrip is not a case. It's essentially a powerful suction cup with a rotating handle attached to it. This can be used on any smooth-backed tablet, which makes it generation-proof! I'm always a fan of not having to change case/handle options with every upgrade -especially when I love the current solution and manufacturers haven't updated it for the latest hardware! Most importantly, I love that the SpinPadGrip has the same functionality I loved in my old Twist360. I'm reluctant to disengage suction to reposition the handle when I've got it right. It's not hard to do, but I don't want to risk it. Can't use any kind of back cover with it (but it looks like I don't need one). For sketching comfort on the Jumbo Pro, I've placed the handle off-center… but that means it's lopsided when hung on a hook. It's not possible to stand the iPad Pro completely vertically. The power button gets depressed, turning my Jumbo off. 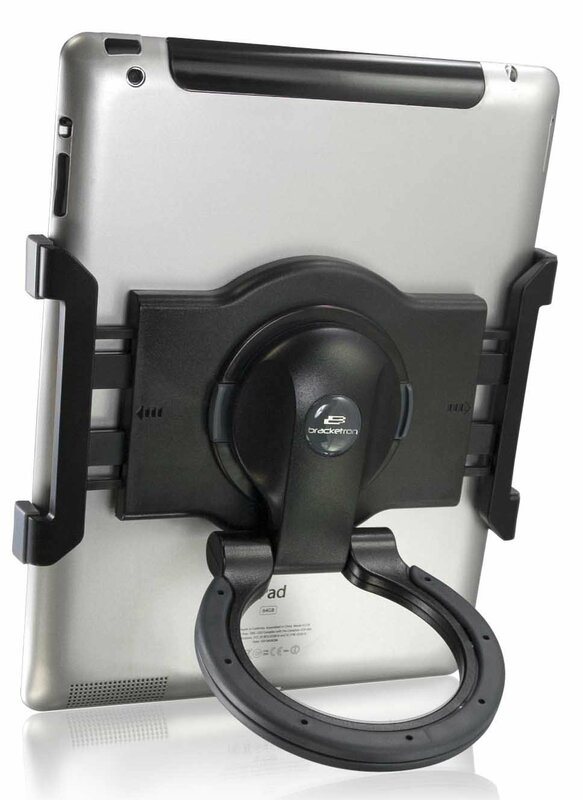 The solution for vertical viewing is to turn the iPad 180° so no buttons are in the way, with the SpinPadGrip positioned to provide lower viewing angles. Still, this is not a big deal. When I have to show something completely vertically, I just hold the iPad Pro up by the handy handle! The handle of the SpinPadGrip at the back lets me easily pick my kit up, and my Pencil is always within easy reach, resting in the pen holder clip attached to my Apple keyboard-cover. Photos will best describe how I use my gear, so here are some. This is my standard configuration. My Apple Keyboard for iPad Pro snaps onto the front to protect my Jumbo's screen. The SpinPadGrip is always attached, and I've found no need for either a back cover/case nor a screen protector, as my iPad Pro travels in a nice padded compartment of my backpack when I'm out and about. I sense raised eyebrows among you, and saw many more when showing my kit… and I'll tell you, I admit - I was very concerned and skeptical when first testing the SpinPadGrip. We've all had hairy experiences with stuff attached to bathroom walls on suction cups falling unexpectedly, and the idea of a pricey device crashing to the floor is a heart attack no one wants to contemplate. For those who do use 9.7” iPads, the following are your best handle/support options. An oldie but goodie, my Bracketron Twist 360 is 4 years old, has survived a lot of abuse and is still going strong. 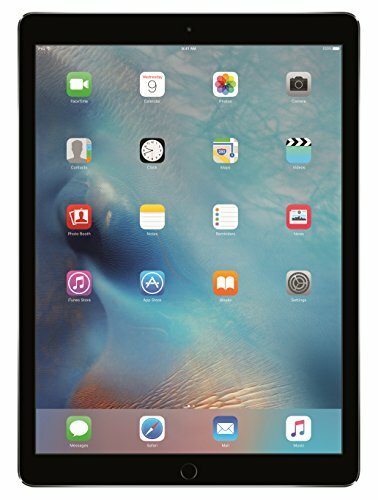 Best for 8-10" tablets. The Bracketron Twist360 was what I used for my iPad Air, and is a great, versatile tablet holder for all generations of 9.7" iPads. Its spring-loaded grip allows it to expand, and Bracketron says it "works with most tablets between 7-10". (Note: Mine was too big for my wife's old iPad Mini, and people with 10.1" Android tablets said it was too small.) Some people find it bulky, and yes, if you look at how sleek an iPad is, this seems bulky by comparison, but I got it for practical reasons, not because it was particularly pretty. For mobile digital artists, hey - you don't have to carry a lot of kit anymore. What's a case that adds a bit of bulk but gives you lots of versatile functionality? 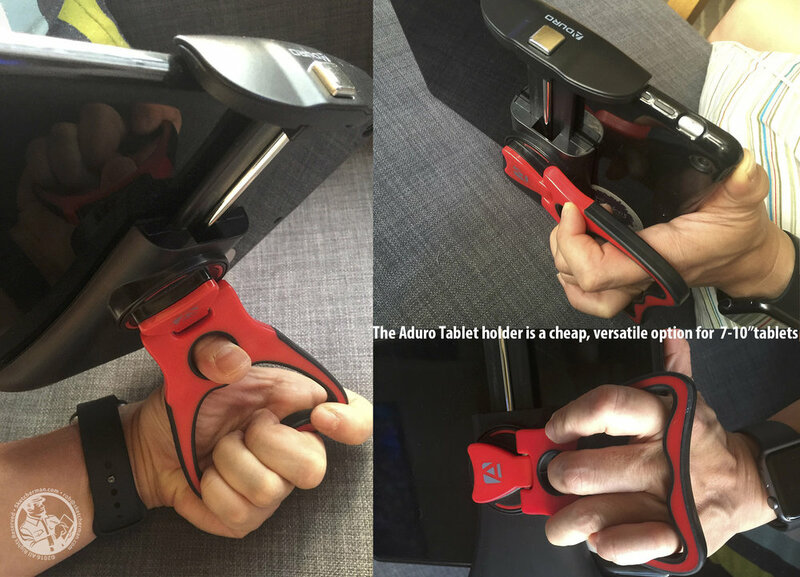 This tablet holder by Aduro is a nifty, cheaper option, and one I got for my wife's iPad Mini. The manufacturer says it can accommodate tablets up to 10", but I don't have anything that size to test. Wider grip range than the Twist360. Fits 9.7" and Mini iPads (but not the Jumbo Pro). Clever handle design with thumb grip hole that improves leverage. Can be used with slimmer back cases. If the silver button on top is accidentally depressed, the Aduro's grip can loosen with heart-stopping effect. Handle clicks to lock at 45° (but that's not a big deal). A little bulkier than the Twist360. Last but not least, it’s not possible to sing the praises of the iPad Pro without mentioning the accessory you MUST absolutely get if you’re forking out for an iPad Pro. 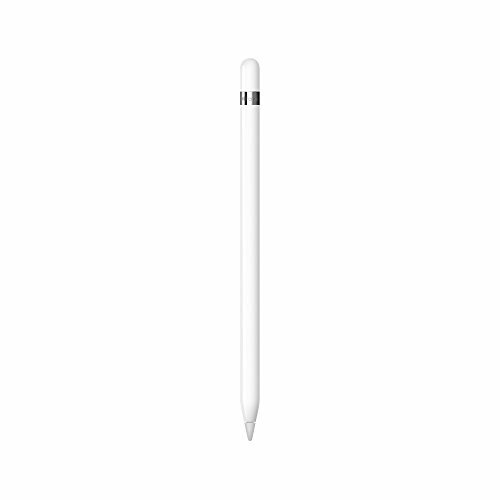 The Apple Pencil is the hands-down best stylus for the iPad Pro…and many of you already know that it only works with iPad Pros. With a groan and eye-roll, many generations of iPad users lament that fact. Sorry people - the price of progress. Please don't email me with Apple rants. I don't work for them. The battery lasts about 12-15 hours of usage. Fun fact: It's faster to charge the Apple Pencil via your iPad Pro than plugged into the wall!